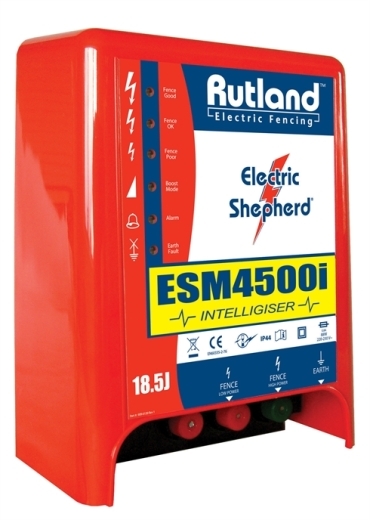 ESM4500i Mains Fence Energiser - Intelligiser® Intelligiser® is a new type of electric fence energiser with an automatic boost mode which maintains the fence voltage under load and adds new safety features. 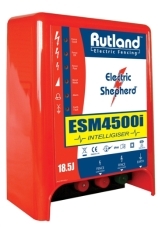 Coloured LED indicators show voltage on fence and the mode that energiser is operating under, audible fault warning alarm sounds if low voltage or fence faults are detected. Suitable for long permanent fencing, high and low output terminals.